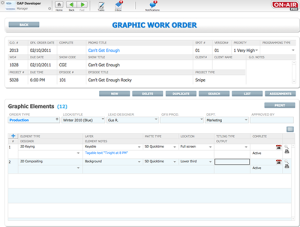 The GRAPHICS module provides a means of managing your on-air department’s graphics. 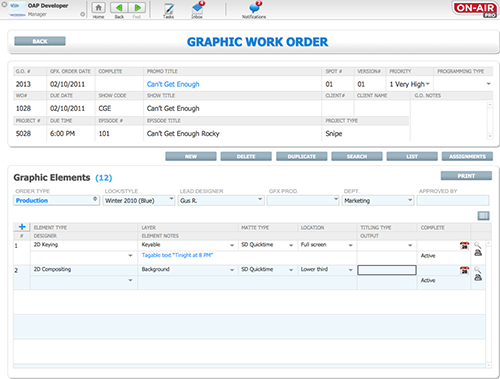 This module functions as a work order system specifically designed for tracking graphics work orders, completion and approval dates, and artist information with links to the PROJECTS module. 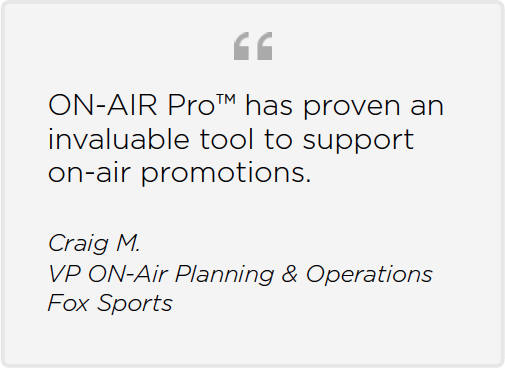 One of the most important features is the ability to store graphic elements and key frames within ON-AIR Pro™ for immediate browsing by writer-producers, room-producers, and managers. Graphics reel logs are also generated directly from the GRAPHICS module, thus linking the actual graphics with the log for the reel.